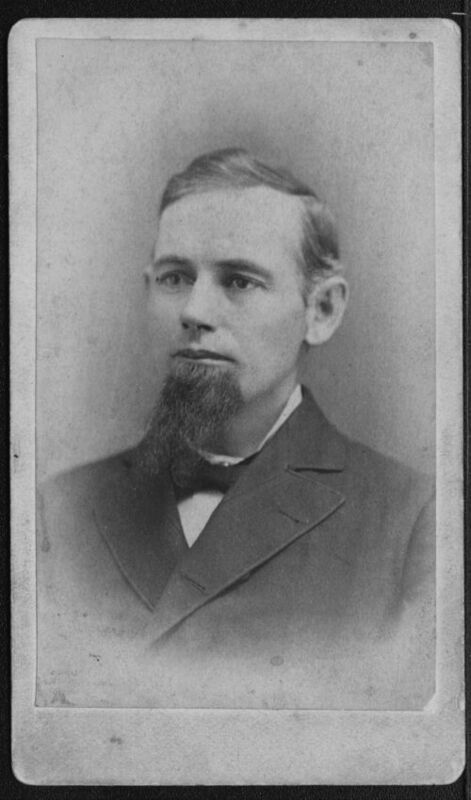 A portrait of George H. Rood, born George Washington Rood (1840-1913), at the age of 54. Rood, and his wife, Helen, and son, Ashley, built a successful and innovative farm, livestock, and feed business in rural Marion County, Kansas. He served briefly as a State Representative in the Kansas legislature (1890), and as Chairman of the Board of Commissioners, and Commissioner of the Third District, of Marion County (1900-1901).